A muscle back featuring a slimmer topline and more compact shape for a traditional look say Srixon. There’s also a super soft 1020 carbon steel head to improve feel and feedback and a Tour VT sole to encourage accurate ball striking and improve turf interaction. 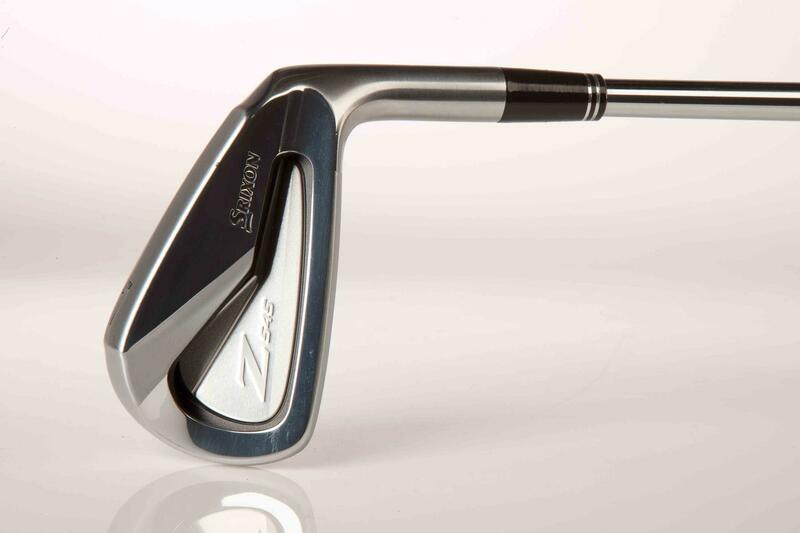 If Srixon’s Z745 iron is packed with technology its got to be said the 945 is just a flat out blade! Whilst the market for blades might be tiny there’s still a few diehards out there who insist on them. If that’s you then you certainly won’t be disappointed by the 945’s. They’re a classic blade if ever there was one with a beautiful head shape and slimline appearance. Interestingly test pro Chris Ryan knew nothing of the VT sole’s before remarking on how well he felt the 945’s interacted with the turf, improving feel and reducing energy loss at impact. A club for the serious diehard blade fans. Through Srixon’s custom build program you can order the 945’s and 745’s as individual irons which means you’re able to create your own perfect blade and cavity set.